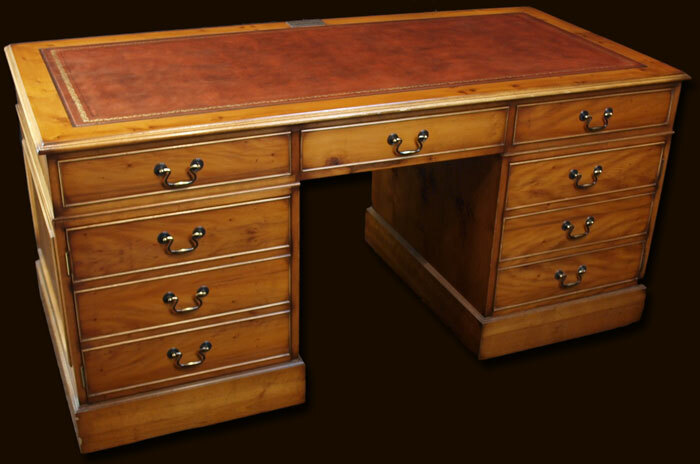 Large Regency reproduction computer desk with two large cupboards to accommodate all computer hardware and keep it out of sight. Features central keyboard and mouse slide, two standard drawers and a wide choice of wood/colours and leather tops. Bespoke desks of this style undertaken.